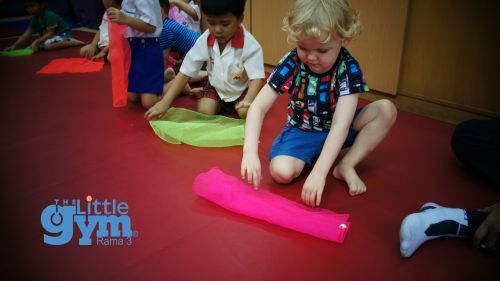 As you strive to give your children the best foundation for success , The Little Gym Rama 3 , located in Bangkok , is there to help you along the way. Our professionally developed , non-competitive curriculum has been designed to build motor skills while having fun , and simultaneously fostering enhanced emotional , intellectual and social skills. Our programs include movement , music , gymnastics , sports , exercise , games , listening and cooperation. Each child receives individual attention and progresses at their own pace in a non-threatening , warm and nurturing environment. Trained instructors create an atmosphere where positive experiences are the norm and feedback is given to every child and parent. For over 25 years , parents have relied on The Little Gym Rama 3 , Bangkok , to help their kids build the skill and confident that will enhance every aspect of their lives. The Little Gym ’s unique curriculum offers your child a multitude of life enhancing benefits and will prepare them for a lifetime of success. While your child is building motor skills , they will also show improvement in social and intellectual skills. Your child will increase flexibility, balance and rhythm , and consequently improve self-esteem , and confidence. Listening skills , attention span and the ability to follow directions will improve. Finally, your child will become more confident , more willing to take risks, and challenge themselves in ways they never have before.